For some reason, many people turn their nose up at the idea of using face oils. They think that they are going to cause their skin to break out or something awful like that. They are not. Well, not if you go down the route of quality natural face oils. Let’s take a little look at some of the benefits, shall we? You are going to be constantly exposed to ultraviolet light. This causes free radical damage. This leads to awful wrinkles and blemishes on your skin. Proper face oils can reduce this damage. If you purchase natural face oils, then you will be pleased to know that they are packed with antioxidants. This will help to reduce free radical damage and help to reduce the signs of ageing. You should try and look for face oils which have Vitamin E and Vitamin A in them! When the cold weather starts to set in, or the warmer weather for that matter, all of the moisture is going to be sucked out of your skin. This causes it to dry out. This is not going to be an issue if you go down the route of face oils. They will help to lock in all of that moisture, keeping you looking brilliant. In fact, if you go down the route of proper face oils, you will never need to pick up those expensive lotions and the like from the store again. Your face oils are going to be enough. Face oils will penetrate deep into your skin. While they are here, they will help to form a protective barrier. Essentially, they are going to stop all of the bad stuff getting into your skin while ensuring that all of the good stuff remains trapped outside. This has several benefits. Let’s say that you are in a city. There is a lot of pollution in the air. If this penetrates your skin, then your skin is just going to look awful. If you use face oils, this will not be a problem. It will be kept out. This means that your pores are not going to fill up with dirt and grime. This helps to prevent acne and keeps your skin looking youthful. 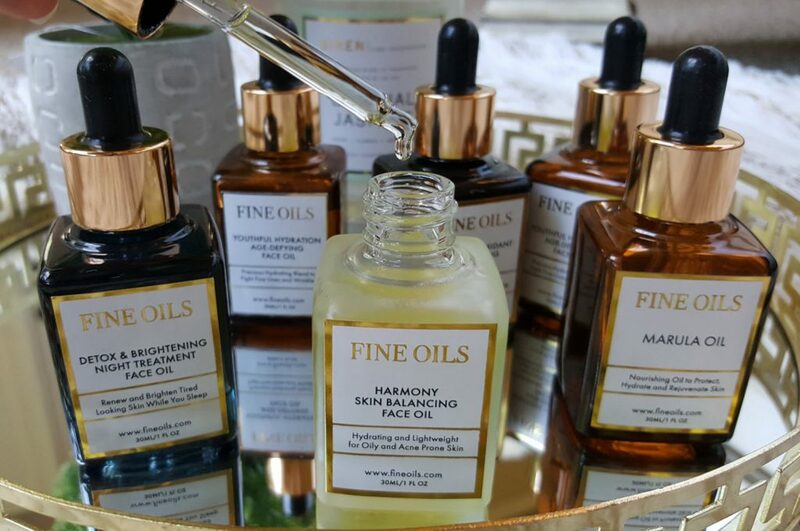 If you wear makeup, then face oils are going to act as the perfect primer. They will provide a nice base that you will be able to layer your makeup onto. Of course, you also have the benefit of ensuring that the makeup is going to be a bit easier to remove as the face oils are going to prevent it from penetrating too deeply into your skin. Finally, if you have enlarged pores then face oils are going to be great. They can actually help to pull out all the dirt and grime that has built up in your skin. As it does this, the pores empty out and they become smaller and less-noticable.